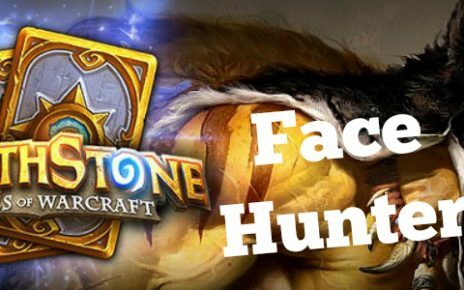 Today, we will continue with another Hearthstone deck building adventure. We are going to be focusing on one of the staple Druid decks that has been around since the expansion Gadgetzan. It already has seen lots of playtime in high tier competitive gaming and has had lots of variations since its release. 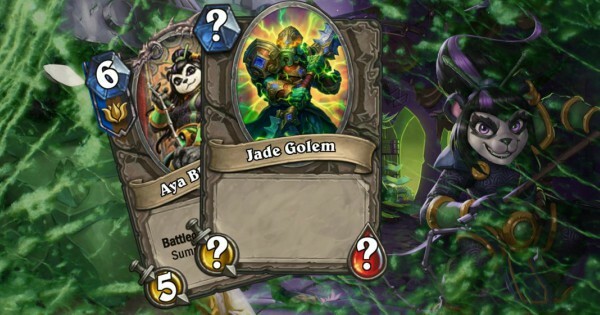 We are looking at the Jade Druid, in its KTF variation. It has been classified by Tempo Storm as a Super High Tier pack, the first of its kind due to the strong potential in ramping in the early stages of the game and the devastating late game potential the Jade Totems bring when they start rolling in the high tens. 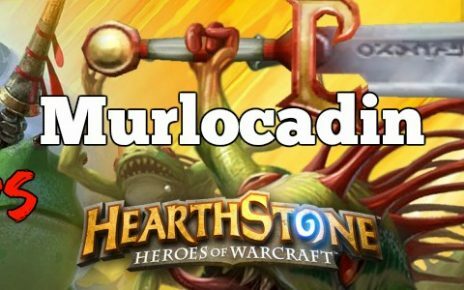 Never has Tempo Storm rated a deck as Class S, and today we will build that and dissect why it got its notorious rank specification. I will discuss how to substitute some of the cards if you are not able to complete the whole list. First thing, I can tell you it is very expensive to craft and to complete. You would need a minimum of 8700 Arcane Dust and maybe 2800 Gold if you plan on completing the whole list. For starters, it requires 4 Legendaries, each coming from a different expansion. They are Aya Blackpaw from Gadgetzan, Malfurion the Pestilent from the new expansion, Fandral Staghelm from the Old Gods and Medivh the Guardian that comes from the adventure Karazhan. Medivh is uncraftable due to it being a reward for finishing the last boss of the adventure. Second most expensive items on this list are the Epics. You need two Ultimate Infestations from the new set, and one Primordial Drake from Ungoro. If you opt to not include Medivh, you can always substitute it for another Primordial Drake, which removes the Gold requirement for the adventure but adds an extra 400 dust for crafting an epic. Now comes the Rares. These include two Jade Idols which are the core component of this list, two Nourish for drawing your deck out or ramping your mana crystal production, Spreading Plague which was a subject of the recent Blizzard nerf and Mind Control Tech. Mind Control Tech can be substituted for Stone Hill Defender so that you will have an option to pull another Jade Behemoth for the additional Totem ramp. Stone Hill is a Rare card and has Taunt which is awesome for early defense while you are still building up your defense. Last are the Commons. You will need to craft two of these cards since these are fairly cheap. These are Wrath for card draw and minion removal, Jade Blossom for mana and Jade Totem ramp, Jade Behemoth for mid-game defense and also Totem build ups and Jade Spirit which is another staple of the Jade Lotus meta game. You will need a single Bonemare, which bolsters a target minion of yours and gives it taut, and also a Tar Creeper for early defense. The basics included are Innervate and Wild Growth for ramping up your mana crystals. Two copies of Swipe which will act as your primary spell for AoE removal of minions from the board and will complete the list. Now, the most important things you should remember when playing this deck is to always gain the upper hand by ramping up your mana crystals. More crystals mean you can cast more minions or spells. Jade Druid is specifically built for that particular purpose by including crystal producing cards Nourish, Jade Blossom and Wild Growth. This deck also emphasizes on drawing out your cards to your hand as soon as possible so that you can have all the important ones in your hand. Spells like Nourish, Wrath and Ultimate Infestation are your main cards for this purpose. The last and most important thing is the ramping of Jade Totems. Each totem summons will strengthen the next one that you will summon. It means you have unlimited totems by late game with the card Jade Idol if you can cycle effectively. Fandral Staghelm is your best friend as your deck is filled with spells and minions with split abilities. What this means is you have to choose between two abilities a single card gives. With Fandral, you don’t need to choose between them as they will be both given to you. You can combo him with Idols to shuffle them and add a totem on the board, Wrath to deal 4 damage minions and also draw a card, Nourish to draw three cards and ramp up crystals and even Malfurion so that you can summon 4 minions to fill the board. Infestation is your trump card as it has ridiculous attributes. It will give you 5 armor, place a 5/5 minion on your board, deal 5 targeted damage and also draw 5 cards to your hand. Although it has 10 mana cost, you would not have any problems hitting that by either turn 7 or 8 if you can ramp properly. If you are already ahead, Infestation will bury your opponent quicker by giving you more tools the next turn to work with. If you are behind, Infestation will help you catch up by removing a very big threat on the board and also protects you with the armor it provides. Plague will be your go to spell during the mid game if you are being dominated early on especially if your opponent has a wide board. Casting Plague will buy you at least two turns since it will provide you a 1/5 Taunt minion for every minion your opponent has on the board. This is a situational card and it should be used wisely. Combo this with Bonemare at the next turn and one of those 1/5 minions becomes a 5/9 which will be a very big counter threat for your opponent. It can also be used to buy you time so you can use Primordial Drake and wipe out your opponents board if they have minions with less than two health. The bread and butter of this build will be your ability to quickly pump out the totems. With Jade Spirit, Blossom and Behemoth, you can actually do this very quickly in no time. Behemoth can protect you early to mid game if you managed to ramp early with Wild Growth and Blossom. The secret to this list, however, is the Jade Idol. This will grant you unlimited totems and will prevent you from suffering fatigue as you can shuffle this card into your deck over and over again, creating more cards for you to draw while your opponent slowly burns away. With all those tips, you can successfully play this and even reach high ladder ranks. Jade Druid has been a staple archetype in all levels but can be usually found between ranks 7 to Legend. After Frozen Throne released, this was the most prevalent deck with the most wins and success, that’s why Tempo Storm regarded it as a Class S tier. Experiment with the play style and just play a lot of games. 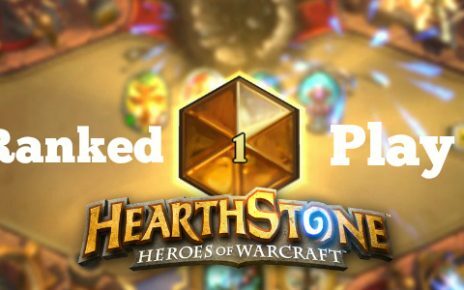 You will easily learn the kinks and nuances of Jade Druid and it can be very rewarding when you see yourself climbing up quickly. Who knows, this might bring you to the first ever Legend rank finish. Good Luck!